Published in The Hill April 23, 2018. Last week, Supreme Court Justice Neil Gorsuch joined his four Democrat-appointed colleagues to declare unconstitutional an immigrant-deportation law defended by the Trump administration. Media accounts portrayed the event as a setback for President Trump, since immigration enforcement was one of his signature campaign issues and the president appointed Gorsuch to the court. But last week’s decision should have been an occasion not for scoring perceived “wins” and “losses,” but for humility, since it’s a reminder that good judges don’t reason on the basis of policy preferences or presidential politics. Instead, the judge follows the law, as he or she understands it, wherever it goes — and that can be unpredictable. Observers should bear that in mind as the Supreme Court turns to another immigration-related case, this one with much bigger stakes. Trump v. Hawaii concerns stricter enforcement of America’s immigration law in the form of the Trump administration’s so-called “travel ban.” If you want to understand the court’s reasoning on this issue, focus on the deeper legal questions involved, rather than obsessing over the superficial politics and personalities. The Supreme Court has asked the parties to address four critical questions. First, the court asked them to address whether the challenge to the president’s suspension of entry of aliens abroad “is justiciable” — that is, subject to judicial review. The question here is how broad the president’s powers are in the area of immigration, and more specifically whether the courts may review the political branches’ decisions to exclude aliens abroad. The challengers argue the courts have never condoned such a sweeping read of the president’s immigration powers, and that executive powers have limits that are testable in court. This question poses a thorny dilemma for the court. The justices often defer to the executive branch in its decision-making, which would suggest an approval of the ban may be in the offing. 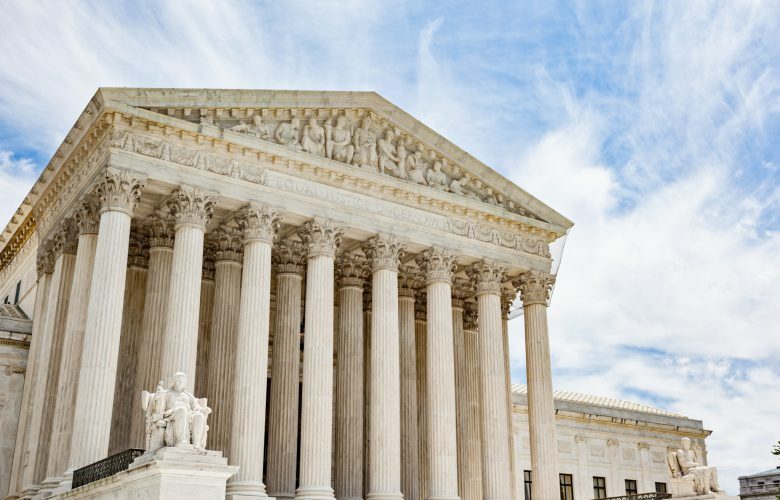 But the justices are loath to say administrative decisions are entirely beyond judicial review, and in recent years the court has repeatedly and unanimously found agency decisions to be subject to judicial review. How the court reconciles these competing concerns will shed light upon what the current makeup of the court will do with the doctrine of deference going forward. Next, the court asked the parties to consider whether the travel ban — which suspends entry, subject to exceptions and case-by-case waivers, of certain categories of aliens abroad from eight countries that “do not share adequate information with the United States or that present other risk factors” — is a lawful exercise of the president’s authority to suspend entry of aliens abroad. Sometimes the court tips its hand with the way it frames a question. Here, the adoption of the government-friendly verbiage — that the president simply excluded nationals from nations that “do not share adequate information” or “present other risk factors” — suggests the court mayintend to hold the president lawfully exercised his authority. Who could blame the president for excluding individuals from nations that refuse to provide “adequate” information? Or for excluding those who pose “other risk factors” to America? If the court does not plan to resolve the question in this way, then the way it phrased the question is an interesting misdirection. The third question is whether district courts go too far when they issue restraining orders, or injunctions, that apply nationally (or even internationally). This question speaks to the structure of the federal courts, and to what powers our system of government affords to single district judges. Which result you prefer likely depends on whether you favor the entry of the injunction in the first place — meaning the answer is often results-bound, the opposite of what we expect from American judges. If the court can answer this question with sound legal reasoning and a solid majority, the justices will bring clarity where previously it did not exist. And finally, the court saved the highest profile question for last: does the travel ban violate the Constitution’s Establishment Clause? The challengers submit that the president’s campaign statements on immigration amount to a tacit, if not explicit, confession of enforcing the law based on religious discrimination. The government, on the other hand, submits that what the president said in a campaign is not evidence of what animated the travel ban; the only evidence of the basis for the policy is in its text and implementation, which do not carry the taint of religious-based mistreatment. Further, the government says, it cannot run afoul of the Constitution where it’s acting in the interest of national security, which the ban is designed to provide. The court may also look at the executive order in the context of its impact and implications. If the vast majority of the millions of people impacted by the ban are Muslim, does that mean the ban is sufficiently entangled with religion that it violates the separation between church and state, even if the president’s intentions are to protect the country’s citizens from harm? Or does the interest of national security — and a more legitimate nationalinterest may not exist — trump the Bill of Rights? If the latter question becomes the controlling one, then a few non-immigration law precedents may suggest a possible outcome. When the court addressed national security as a shield of alleged unconstitutional conduct in the Guantanamo Bay War on Terror cases, a majority of the court chose to reject the national security defense in favor of the fundamental right of access to the courts. Although there has been some turnover on the court since those cases were decided, if the court follows the implication of those cases here, then you may expect the court to say national security does not allow the executive branch to discriminate against a particular religion either intentionally or in effect. After oral argument this week, close court watchers may try to predict how the travel ban will fare. But trying to predict what this court will do is a fool’s errand. That they will do something unpredictable may be the only safe bet, and focusing on the actual legal issues at stake, rather than the potential political fallout or personalities of the judges, is a better guide to assessing what may happen.